Jamison grew up in the Forest Park neighborhood in West Baltimore. While he wasn’t always academically strong, his parents encouraged him to enroll in many different structured activities like, swimming, karate, baseball and basketball. But it was programs like Upward Bound that exposed him to college and introduced him to his interest in chemistry. He hopes to create a similar impact with the students in his programs. “To be honest, outside of my father I’ve never had that mentor relationship. 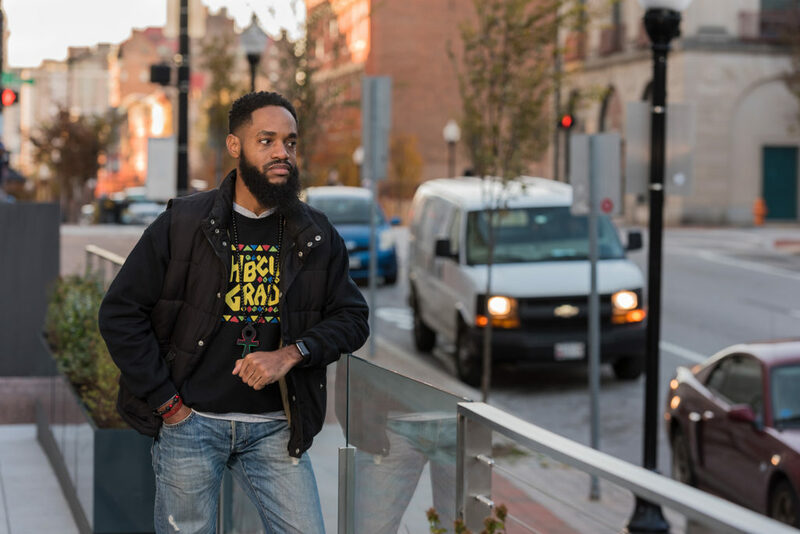 But there was a professor in college that said ‘hey, you can really do this and be whatever you want to be.’” In the future he hopes to teach at an HBCU and hopefully impact the life of young student.